An Arizon air-supported building offers a number of financial benefits in addition to low cost-per-square-foot upfront pricing. There are important tax and depreciation benefits to consider when comparing an air-supported building to other types of construction. Such benefits may make an air-supported building more attractive, especially for new businesses. If a structure is not inherently permanent, the property will be considered tangible personal property and not be subject to real estate taxes. According to state and local taxing authorities, all property of its taxpayers is divided into two classes: real estate property and personal property. Real estate property includes all land, building structures and other property that is a fixture to land or a building structure. Personal property, on the other hand, includes all things that are not real estate property. All real estate property is taxed by state, county and local governments, whereas personal property is not taxed at all or is taxed at a low rate. One of the benefits of an Arizon air-supported building is that it can qualify as personal property by the Internal Revenue Service (IRS). See IRS service code section 1245. Personal property is not subject to real estate taxes. IRS regulations 1.81-1 and 1.1245-3 determine if a building structure is considered to be either real estate property or personal property. Personal property is defined by the IRS as any tangible property other than land and improvements to land. Buildings and structural components of buildings are treated by the IRS as real property (IRC sec. 1250). A structure is considered a building if it is determined that the structure is “inherently permanent” (Reg. 1.48-1). If a structure is not inherently permanent, the property will be considered tangible personal property, and not be subject to real estate taxes. Several factors contribute to an Arizon air-supported building’s classification as personal property for real estate taxation purposes. Air-supported buildings are manufactured off-site and assembled at the job location. Disassembly costs are less than 20% of replacement costs. In addition, Arizon’s air-supported buildings are affixed to the foundation in a manner that allows for easy disassembly. When these factors are applied to the IRS’s permanency test, federal tax courts established in Whiteco Industries Inc. v Commissioner, 65 TC 664 Dec 33, 594 that air structures can avoid classification as real estate property. Another major benefit of Arizon air-supported buildings’ classification as personal property is the difference in allowable depreciation methods. For tax purposes, personal property may be depreciated over 5 to 7 years using accelerated methods while real estate property is typically depreciated over 39 years using straight line depreciation.  Because of its classification as personal property, Arizon’s air-supported buildings can not only be depreciated over 5 to 7 years (versus 39), but this depreciation may be accelerated, offering two distinct tax advantages over conventional forms of construction. Figures are based on an assumed cost of $1 million per structure at a tax rate of 40%. The allowable depreciation of an air structure in its second year of life is $244,900, resulting in tax savings of $97,960. In contrast, a similarly valued building only depreciates $25,641 in its second year, for a tax savings of only $10,256.